Unordinary Style: Outfit for 3/31/14 & My New Purse!!! OMG, here is my new purse!! Can you tell I am a bit excited by my new purse? I really didn't think that I cared all that much about nice/designer purses. I would always just get a purse that functioned and was reasonable in cost. Then my good friend, Vivian, gave me a couple of coach purses. They are super small, cutie purses, but not very functional for any everyday purse. But I noticed that I really liked using them. 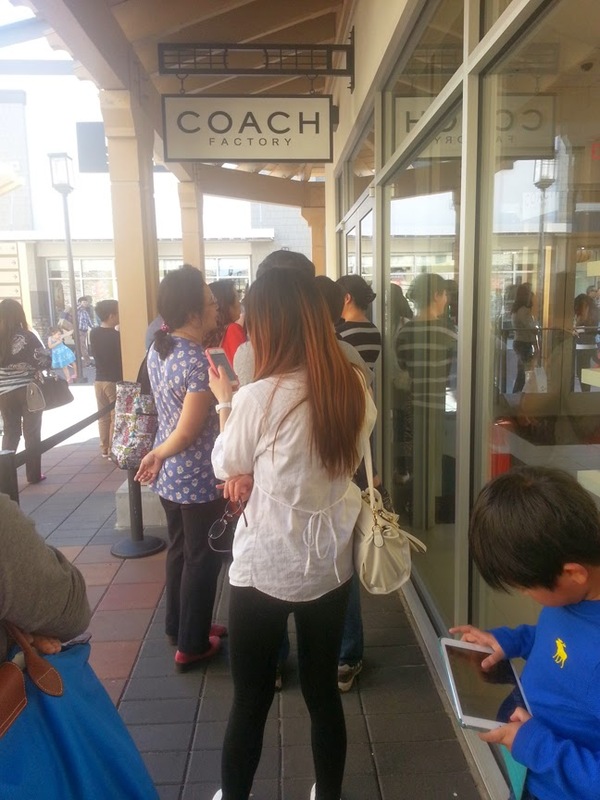 This inspired me to stop into the Coach store the last time I visited an outlet mall. I walked right in and was handed a coupon for 50% off for that day only. I walked the store, checked out the various bags and spotted a couple that I liked, but I did not commit to any. Instead, I left the store with nothing. I walked and shopped, and checked out other purses, but saw nothing else interesting. On my way back to the car, I decided to go back to the Coach store. But this time I was faced with a line to even get into the store. I got into line and was still not sure if I was going to commit to a purse or not. I waited for about 15 to 20 minutes and texted my wife and Vivian about the purse. Eventually I got into the store and found the purse I spotted earlier. I asked the sales lady how much it would cost. She told me about $200. Wow, could I really commit to such an expensive purse? Gosh, I didn't know. I walked the store a bit while holding onto the purse. Eventually I decided and went to the counter. The sales associate rung up my purchase as we chatted. Imagine my surprise when the total was only $150. Wow! How cool! I left the store pretty happy with my new purse. But it was not until I went back to my hotel that evening and switched out from my old purse that I realized the super high quality of my new purse. Wow, it is super nice! It was about then I realized the difference between an ordinary purse and a quality purse. There is a BIG difference people. And the next day while I continued on my shopping trip, carrying around my new purse, I felt like a million bucks. I even got a few complements on my new purse, which was super cool. But the thing that kept amazing me was how awesome I felt. It made me feel like I was a super star. Weird how such a simple item can make you feel so great. So yeah, I felt great, but it is a also a great functioning purse. I super , super, super love it!!! Wow, that sure is an excited looking Nadine! :) Along with the purse, I must say that the boots and the jacket work great together. Lately, anytime we walk through Macy's, I can't help but check out the Michael Kors section while K is stuck in the Coach section. I'll have to find some good sales whenever I'm in the market for another purse. I find that it's taken me some time to come around to love my purse, which I bought at a designer second hand store. I've gone out a couple of time with just stuffing my pockets with what I need, just like I would normally do as a guy, but the more I use my purse the more I'm becoming attached. Sounds like some quality purse purchases are in our future, especially if we linger around Macy's. Aww, Cass, you are such a sweetie. Thanks for the kindness; that was super nice of you to say! I knew I would turn you : ). Beautiful purse for a beautiful girl. I couldn't agree more on the quality aspect I have purchased 2 "cheap" purses and one had the inside pocket year after only a month and the other is stained on the outside. Not worth it, my oldest Coach is 10 yrs and still looks fabulous. You are so right, you totally turned me. Ever since receiving the two Coach purses from you all I could think about was how cheap my other purses were. Now I totally get how quality purses are not really expensive when you look at the amount of use you can get out them. They are totally worth it and I will never look back. Oh and since I had a cool new purse I recently had to visit another Coach store and update my wallet to go with my purse. Another purchase that was well worth the cost. It is super cute. Oh and thanks for the beautiful comment!!!!!! Made my day!! !